There are both positives and negatives towards not having any school for the next few weeks, but from my perspective at the moment, it's mostly negative. I have very little to build towards at the moment, unless of course you're talking about my current addiction to Evangelion (only another thirteen episodes before I finish the series, it's pretty short). Not the best anime show I've ever seen, but it's still pretty good. Not "Fullmetal Alchemist" good, more like "Haruhi" good or "Bleach" good. xDD Gah! Can't I make a single entry without mentioning anime for once! :) Anyways, i've kind of made a deal with myself to try a little harder this next week at achieving my goals. Even though they may not be massive, they're still there, and part of the fun of life is to apply yourself and just "go for the gold". So starting tommorrow, I'm going to try and do that. It should be fun, to say the very least. I'll try and make a blog entry every night before I go to sleep as well, you know, to keep you guys posted on what is currently clattering in the mind of Kaleb Stewart. Oh! And look forward to some mini-reviews in every entry. I watch alot of TV and read alot of stuff, and unfortuantely, it's become too much of a pain to jam it all into one entry. Look forward to it! What I Liked About this Movie: The perfomances were excellent and the movie was superbly crafted. My compliments to the director. There were waaaaayy too many concert "singing" scenes, but that was probably just because I dislike Johnny Cash's music. 0_0 Resse Witherspoon is still amazing. No matter what perfomance she's in, she nails it! Fantastic job. What I Hated About this Movie: I'll just go out and say that I highly disliked this movie. It's about a washed out jerk who ends up making alot more then he deserves, and how he leaves his family and stalks after June Carter. I respect the movie and what it was trying to achieve, I just found it all very boring and uninteresting. Johnny Cash is a jerk who managed to make great music, that's all you basically need to know about this movie. Oh! And June Carter was crazy for staying with him. By the end of the movie, I was really starting to think about all of the other things I could've done with the time. Could have Wrote...could have read Harry Potter...could have studied for my DMV test..could have watched a drama about people worth giving a damn about. I look forward to the constant updates. 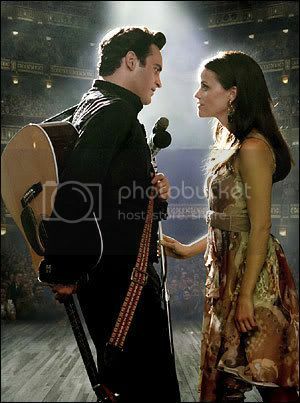 As for Walk The Line... nice to hear your review. Often times movies (and books) portray musicians oddly. I look for the official stuff to dodge that, though this movie did interest me... sooo, thank you for your review on it. My New Super Cute Wallpaper! The Nemo Report: The Subs Are Back!